I’m really a hobby refinisher. By trade, I’m a house painting contractor so I do have experience with finishing and refinishing wood surfaces. But, refinishing furniture can be a challenge for all of us. My experience started many years ago. Unable to purchase nice new furniture but still wanting nice furniture, I began visiting the flea market and garage sales to find gems. Many needed extensive refinishing but they were inexpensive. As the owner and administrator of furniture-refinishing-guide.com it is my hope that the ideas and tips really help you achieve fantastic results. Feel free to leave comments or your own ideas so all of us can benefit from your personal experience. 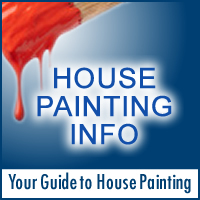 Check-out my other site for extensive house painting information. Antique Furniture Value – Should You Refinish, Or Not? What’s The Difference Between Refinishing and Restoring? Refinishing Tools – Use the right tools for your project.